Say hello to the office moving box; an innovative tool that is used by companies in relocation. With an office moving box, you will be able to effectively transport your office tools and equipment in an orderly an efficient manner. Office boxes are very durable and light in weight. They also have very comfortable handles, so you and your employees can easily handle them and work with them without any stress. They also pop on pretty easily when you need them. When you invest in moving supplies, you are investing in tools that are crush proof. This characteristic makes them ideal for the protection of delicate and fragile items that should ideally be handled carefully. With office moving boxes, you don’t have to worry about any damage coming to your most fragile items. 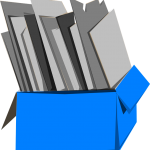 Due to the fact that they are durable and can easily be re-used, office moving boxes are able to reduce waste. This characteristic also makes them much more popular choice than most of the other options that you have to help with moving office supplies. These crates are able to last over a very long period of time (as long as they are maintained properly), and they can also be recycled at the end of their shelf life. The fact that office moving boxes can be recycled means that they are able to help you reduce the cost of disposing waste at the end of your move. Also, there are rental boxes available, so you don’t necessarily have to buy them in order to make use of them. They also help you to reduce the cost of purchasing additional boxes since they can easily be used time and again. Office moving boxes are able to last for years, and this makes them a cost-effective option. They are efficient, and also returnable, thus offering you proper savings on cost.